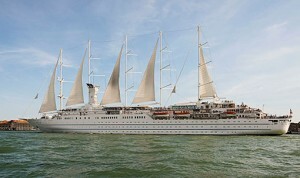 Windstar Surf carries just over 300 passengers. 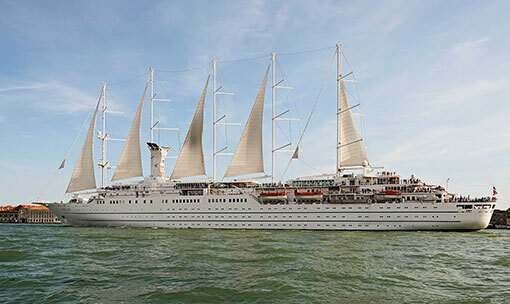 This is a premium line of high-tech sailing ships, each accommodating about 150 passengers (except Wind Surf which carries 312 passengers). Noted for their fine cuisine and good service, Windstar ships appeal to clients seeking luxury in a casual setting and a bit of sailing adventure on a cruise. The line offers Med itineraries that include the smaller ports along the French Riviera and Greek Isles. In winter the fleet moves to the Caribbean and other warm water regions.